Marjorie “Ruth” Lichtenstern, age 82, of Topeka, passed away Wednesday, April 18, 2018, at Midland Hospice Care in Topeka. Ruth was born July 30, 1935, on the family farm south of Denison, the daughter of Jay and Edna Knowles Porter. She attended a one-room country school, which closed after she finished eighth grade. She attended Denison Rural High School, graduating in 1952. She was a math major at The University of Kansas, where she received a Bachelor of Science in Education. In 1957, she was awarded the Master’s of Science in Education from KU. Her teaching career began at Highland Park Rural High School in the fall of 1957. When Topeka West High School opened in 1961, Ruth joined the faculty as a math instructor, and she spent the rest of her career there. She retired in 1995, bidding a fond farewell to the many exceptional students she encountered over those years. One of her fondest experiences was teaching Honors Geometry at Topeka West. On Sept. 1, 1966, she was united in marriage to Louis P. Lichtenstern. He preceded her in death on Nov. 30, 2006. Their marriage was officiated by her uncle, who had officiated the marriage of her parents 50 years before. Ruth received her early religious training in the Denison Reformed Presbyterian Church. 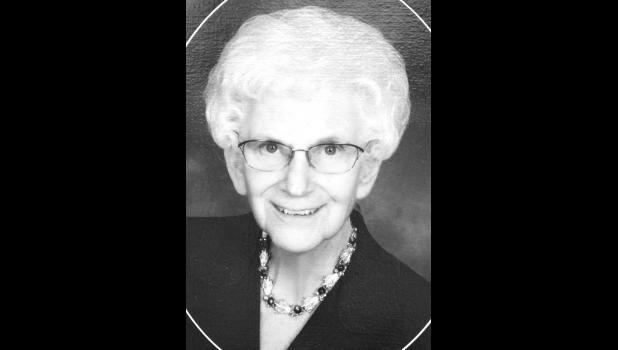 She was a member of the East Topeka United Methodist Church for 35 years and joined the Highland Heights Christian Church after the East Topeka UMC closed. Since retirement, she had been an active member of the Topeka Area Retired School Personnel. She also enjoyed the opportunity to travel. Ruth is survived by her son, Roland Lynn (Mary) Greenlee of Clay Center; six grandchildren; and eight great grandchildren; nine nieces and nephews; and numerous great-nieces and nephews. She was preceded in death by three brothers, James, Warren and Bill Porter. Funeral services will be held at 10:30 a.m. Monday, April 23 at Davidson Funeral Home. She will lie in state from 1 p.m. to 5 p.m. Sunday with visitation from 2 p.m. to 4 p.m. at Davidson Funeral Home. Interment will be held at the Memorial Park Cemetery.